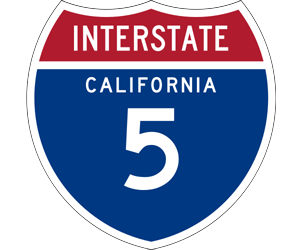 A pedestrian was fatally struck Thursday night by at least one vehicle on southbound Interstate 5 in the Centre City area of San Diego. The man, who appeared to have been between 35 and 45 years old, was struck just south of the Sixth Avenue overpass around 11:10 p.m. Thursday, according to the California Highway Patrol and the San Diego County Medical Examiner’s Office. The CHP earlier had received calls reporting that a male in dark clothing was standing in the center divider of the freeway. He died at the scene, the Medical Examiner’s Office reported.